grub2 waits forever for keystroke before booting default OS. headless server. hang. After a seemingly-routine "apt-get update" on an Ubuntu 10.10 server, the machine hangs on boot. It is sitting at the grub2 prompt, waiting in vain for someone to come along and press <enter>. Now I'm pretty dang stuck. There is plenty of forum activity on this issue, but no true solutions. Note that the failures I see are after a clean boot... most of the above are reports of a problem after a dirty boot. I've seen the issue on several machines now... all after performing "sudo apt-get upgrade/update". This is a very serious issue for any unattended or kiosk type machine. I ask for an "urgent" rating on the bug. This is not quite a duplicate of the older report 428570 . Again, asking for "urgent" on this one, as it really affects servers in a major way. Which more or less documents part of this behavior. But remember I get this on clean boot. 1) "apt-get updgrade" can trigger "grub-setup". If by chance there happens to be a USB drive attached with Linux on it... grub will find it. And suddenly you have two OS's and grub asks. 2) If a previous boot fails (for example because of a power failure in the middle), the next boot waits forever for a keypress. 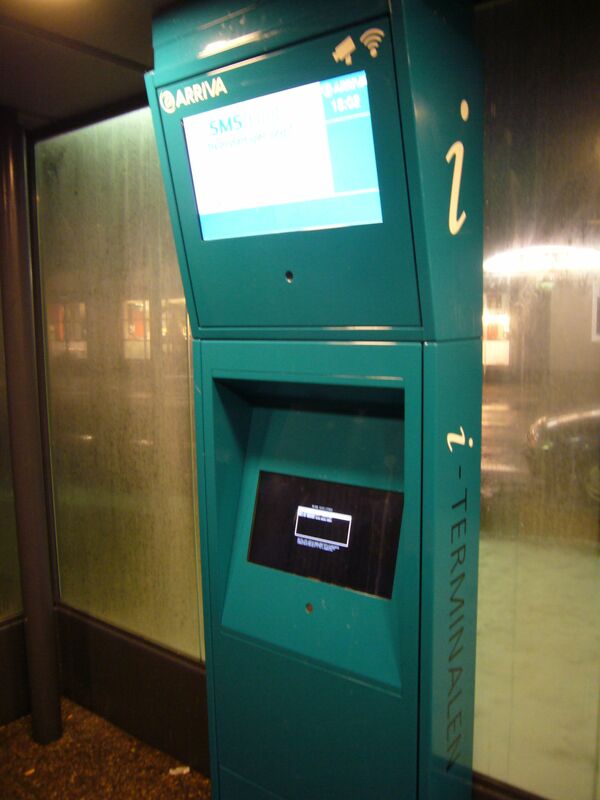 3) On a kiosk, if a visitor happens to press the shift key (or it is stuck) at boot time, the machine won't finish the boot. 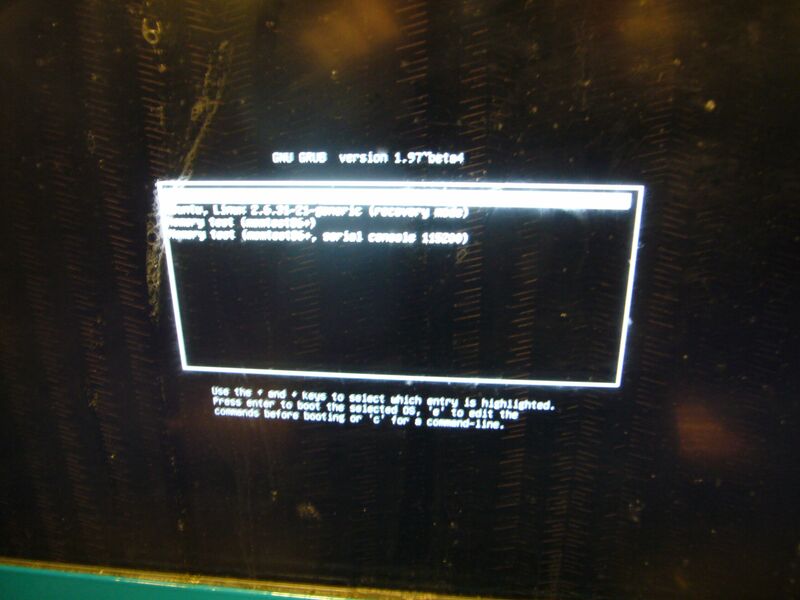 All three issues are problems for unattended/kiosk uses of Ubunu. In my case, i'm convinced that recordfail is set due to an issue with the SD-MMC card reader of my HP Pavilion g6, which persists even after installing grub with --recheck. Changing timeout on 00_header solved the problem. Horrible. We do not see this idiocy on Debian Systems, it is an UBUNTU problem. Apparently they re-packaged it without knowing what they are doing. Mint exists because why. Please make your changes much miloder, and concern yourself with the source. If they aren't doing it, then your "new" ideas shouldn't either. *milder ... sorry for the rant too but I've been venting awhile. I think many people have. Stop reinventing the wheel please and follow your own upstream - they already do most of the work for you. This has been fixed with 12.10 and a SRU for 12.04 landed today. This "feature" makes no sense to me. I've been using Linux on servers since Slackware came on a stack of floppies. Any sysadmin worth their salary will tell you it's an extremely bad decision to let the server hang if it was improperly shut down. I want my servers to come back online after an issue, why are you keeping them offline? One of my 12.04 servers is crashing regularly due to a 3.2 kernel bug. EVERY SINGLE TIME someone needs to walk all the way there and hit the reset button. Lost power once - same thing, Ubuntu won't come up; but Windows did; Red Hat did. This is revolting. Please, please, please, remove this caricature of a "feature" from a distribution meant for servers. Please ask experienced sysadmins before making such changes. A server should come up ALL BY ITSELF whenever possible. Do not prevent it from doing so. Ubuntu team, you have really let the ball drop on this one. The default should be... the system boots. It should be hard, if not impossible, to change that default. I used the XBMCBuntu iso, which installs a custom version of 12.10, and this issue persists regardless of clean/forced reboot. I have tried editing the /etc/grub.d/00_header, but it did not help. I will try the suggestion in post #11 and let you know how it goes. While it might make some sense to do something different when the power is cut off, waiting for an "Enter Key" is not a sensible choice. Just to follow-up on my last comment. I was unable to try the solution as grub would not see the Linux OS after a grub-install on /dev/sda, and omitting to run update-grub right afterwards. I struggled with a live-USB to fix grub, but after several hours, I ended just re-installing the whole thing. After the new install the issue no longer appeared. I guess there is something flaky in the code that causes the issue to only appear on occasion. I spent about 15 hours trying to figure out why my headless Ubuntu 14.04 Beta server wasn't booting. No IPMI or remote hands were available in this case, unfortunately. I finally got on the right track when I noticed in my identical test VM that grub2 wasn't always automatically booting the first menuentry. After a few more dead ends with some grub options, a Google search for 'grub2 not automatic' led me to an askubuntu answer that mentioned GRUB_RECORDFAIL_TIMEOUT. Setting it to a positive integer fixed my boot problems. And the reason for my troubles? I imaged my Ubuntu VM (for remote deployment elsewhere) after powering it off during the earliest stages of a boot. A strange form of a "power outage". I would've never guessed a feature designed to avoid reboot loops would come into play. I don't understand what the status with 14.04 is. Are there still cases where that might wait for a key stroke? Yes this issue still happons in 14.04. We have an issue with our storage on an ESX enviroment ~100+ guest systems were forced to hard reboot. All the windows and centos systems had no issues, ubuntu was stuck at the grub screen and required manualy work. This is crap and is bad for the ubunut brand! 14.04 hangs and waits for key stroke. A headless server is not supposed to do that! on ubuntu 14.04 server 3.13.0-12 manually boot :/ . I just want to add my voice that I spent hours of intense frustration dragging a headless server back and forth between the desk where I have a keyboard and screen and the room in lives in, all because of this issue. This looks like a totally random bug if GRUB isn't communicating to you why its hanging... which it doesn't. It just doesn't autostart. That's incredibly lazy. We are also having this problem on 14.04.1 LTS. Extremely frustrating and completely pointless for a (headless) server-OS. Running a (headless) Ubuntu 12.04.1 server too. Looks like after a update have to press enter for it to boot up. Any one know of a fix? Just rebooted with a screen on it and it reboot with out touching the keyboard. I have "Welcome to Ubuntu 14.04.1 LTS (GNU/Linux 3.13.0-39-generic x86_64)"
Not sure what I did to fix it because I did not test a reboot right after the fix. The rest after is just starts with # so it don't do any thing. Same issue but different answer ...why ? and again ..we are not alone ? Edited the configuration file /etc/default/grub and ran update-grub. Hope this helps people who stumble upon this bug looking for a solution. Bear in mind you only try these commands when you know what each command does, and understand the underlying logic. I leave it to you to determine if you use MBR or uefi, or want a unbootable system.